The Victory Lane Fleet Program will ensure that you and your fleet get the service your deserve. 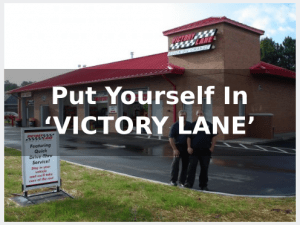 WHY CHOOSE VICTORY LANE QUICK OIL CHANGE? CONVENIENCE. Over 29 locations to serve you and no appointments necessary. Each month you will receive a detailed invoice that includes. Interested in finding out more about Victory Lane Quick Oil Change fleet services? Contact our corporate headquarters at (734) 667-4304, or fill out the fleet services application below.